Shot timers refer to small devices, usually like the size of a shirt pocket, that let you time your total time in between individual shots or a shot string. You can usually find them in various competitions and in shooting sessions that require you to measure your skills. They work under the principle of automatically activating the timer right after hearing a loud gunshot sound. It also marks the time you hear the last shot. You can also set it in such a way that it produces a tone indicating the beginning of a shooting session. 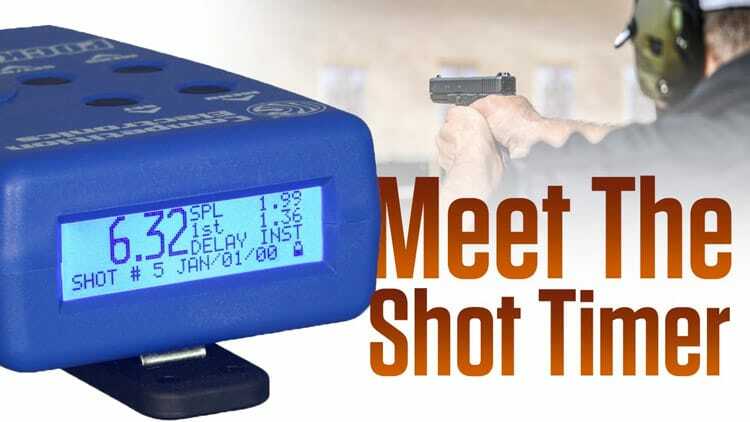 If you’re a shooter, then this lets you incorporation a reaction time into your overall shot string. However, with the many shot timers in the market today, you may find it challenging to find the most suitable one for you. Fortunately, we gathered five of the best shot timers today with the aim of making the decision-making process easier for you. 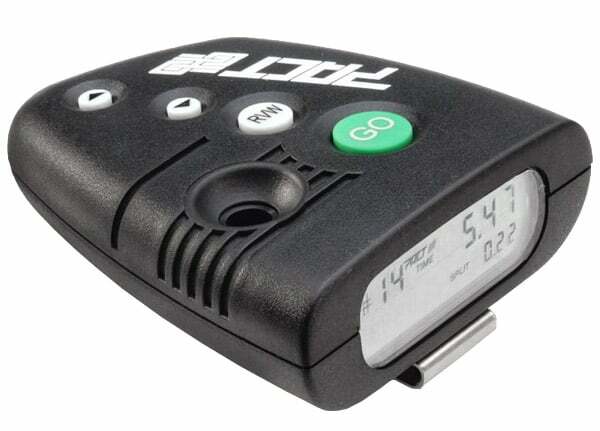 CED7000 Shot Timer is an ideal choice if you’re planning to use it for RO or dry fire practice shooting. It’s useful during practice as it can improve your skills even when handling it for just a few minutes each day. One great thing about this device is that it has a small form factor. Such makes sure that you will never have a hard time fitting it in your palm. Furthermore, it is both lightweight and compact. The problem with the CED7000 shot timer is that its battery life does not charge that long. Overcharging it also tends to fry the battery. Undercharging, on the other hand, lessens the amount of time you’ll be able to take advantage of the gadget. Other than that issue, most users are still happy with their purchase because of the many things that the timer can offer. It features an LCD screen without causing it to get too bulky. Another feature is the integrated PAR timer mainly designed for your dry fire practice. It is even possible for you to do this at your home. CED7000 boasts of a memory storage or recall designed to help you in reviewing an endless number of shots, as well as up to ten strings. The LCD screen mentioned earlier is completely functional with proper illumination. It shows pertinent details, such as the total time, shot number, first shot and par time, as well as splits. There is also a shot detection microphone. This feature comes with eight pre-programmed digital sensitivity settings for your convenience. Aside from the time and date displays, it also boasts of its alarm clock feature. ​Small form factor – It is compact, making it convenient to hold. This device is worthy to include in your list of options when you’re searching for the best shot timer. One remarkable feature that it takes pride of is its ergonomic design, which promotes ease in operating it whether you’re using your right or left hand. You can also do so without the need to cover the sensor and buzzer. It lets you review up to fifty reverse or forward shots. The problem with this shot timer is that it is quite hard to understand how it works, especially for first-time users. It does not come with a manual, making it quite hard to figure out. Also, there is no label in the switch and button on its side, which makes it quite difficult to understand how it’s supposed to work at first. Still, it’s worth the investment. It has several features that are useful in improving your skills and gauging your performance and progress. It has a clear display of the time plus adjustable sensitivity. Also, you will find it easier to review your shot number, shots, and split times with the aid of the device. Another thing that you’ll love about this shot timer is the fact that it saves battery life. It is because it features an automatic power down, which automatically shuts off the battery after ten minutes of being inactive. There’s no need to worry about the battery not lasting that long as it saves enough power. You will also notice that it has a separate buzzer and shot sensor, which is a good thing if you want it to perform at its best. Other features include the random or instant delayed start, as well as the par time. 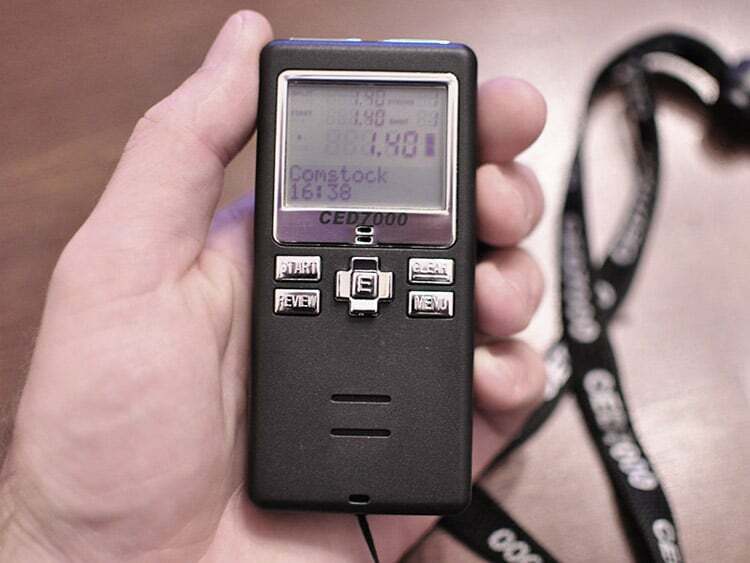 Pocket Pro Timer II CEI001 is one of the most talked about shot timers. Many prefer this gadget because of the ease involved in operating it, its affordable price and its durability. It works efficiently in measuring your shot time intervals whether for scoring matches or personal practice. Also, it comes with most of the features you need from a shot timer – all packed in a user-friendly design. One problem with this shot timer, though, is that it tends to eat up battery life too fast. The battery drains faster than what you might initially expect. Another drawback is that it feels a bit flimsy, especially after you handle a high-quality weapon, like those made of polymer. Also, there’s a risk of it picking up the shots of others if you are doing your shooting sessions in a busy place. Still, investing in the Pocket Pro Timer II CEI001 is a decision you’ll not regret as it is functional enough plus full of valuable features. It is useful in timing and increasing your shooting speed. Furthermore, it lets you monitor your progress based on the low times it recorded. It features an intuitive navigation and menu, which you can easily remember. Also, it is not difficult to read the display position whether you put it on a bench or your belt. It has a large, well-lighted graphics LCD screen. Another device worth looking into is the PACT Club Shot Timer 3. It has a unique design and shape, which you can expect to fit your hand perfectly. The fact that it has a perfect fit ensures that you’ll be able to utilize the microphone and buzzer without any form of obstruction. It comes with recessed ergonomic buttons – all of which are useful in preventing accidental activation. The product has a few imperfections, though. One is the fact that it is bulkier compared to other compact timers in the market. Another problem is that it is quite complicated to program and is incapable of storing several strings. Also, this shot timer is also more expensive than the others. However, if you check out the features and functionality in the PACT Club Shot Timer 3, you will realize that it is still worth buying. You will love the fact that it has a big custom display, as well as being corrosion-resistant. Also, it comes with a sealed conductive keypad made of rubber. It is popular for being robust and sturdy for both training and competition. Instant or Random Delayed (2 to 3-1/2 Sec. 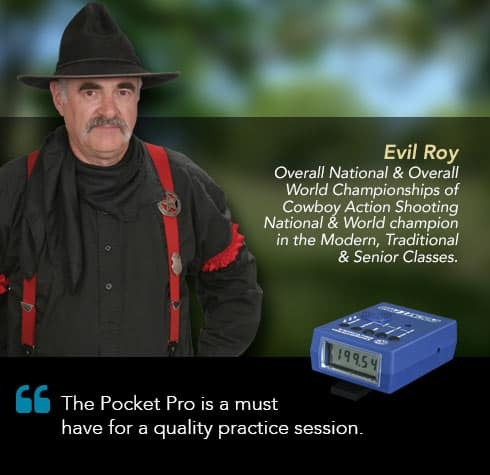 If you’re in search of a shot timer, which has a size that is perfect for your hands, then the Pocket Pro II timer from Competition Electronics is a reliable option. As mentioned, it can nicely fit your hands. It also features a start button, which you can find on the side, making it easily accessible. It has a powerful buzzer capable of promoting an efficient transmission despite wearing a hearing protection. Expect a few problems with this shot timer, though. One of them is the fact that the battery is quite loose within the housing. It even tends to rattle a bit. Rest assured that you can fix this by using some tape. The timer is also too lightweight, which is one of the reasons why many question its ability to hold up in time. Another issue is the fact that it does not have a memory of past shot strings. Still, it is a shot timer, which performs well based on its high satisfaction rate. If you have big hands, then rest assured that it can still fit you because it has large buttons positioned with just the right amount of spaces. Battery life can last up to 20 hours, which is already enough if you want to enjoy a long training session. It also shuts off automatically when not in use, saving more battery. You’ll also love the fact that it is highly functional and programmable. Since shot timers are vital components for each of your shooting session whether you are a novice or an expert player, you need to be careful when making your choice. You can’t expect the timer to work the way you expect it to if it does not provide you a convenient display of all the information you need. The timer will serve as a tool to record the time of each of your shots. It also provides details about the start signal for your sessions, as well as other vital info. That said, you need to choose a shot timer, which makes it effortless for you to access all your required data without any form of interruption. The view should also be clear. A good shot timer is one, which is capable of recording pertinent data – all of which you can use in gauging your skills and progress. Such is the reason why you need to find one, which can satisfactorily do the data storage and recording process. If possible, go for one, which makes use of a technology that takes notes of your speed, shooting skills, and other details that are essential to your training. Of course, you want to ensure that the timer will last for quite some time. The battery life is the ultimate gauge of the gadget’s maximum potential and efficiency. Another factor that you have to check when judging the many shot timers laid out to you is their overall durability and quality. Look for a high-quality one, which is also fully functional and comes with several features designed to improve your skills. Furthermore, it should be durable enough, making it capable of resisting harsh conditions in the training or combat field. Of course, you need to look for a shot timer with a reasonable price. That does not mean, however, that you should go for the lowest priced ones without checking their features and quality. Go for a reasonably priced gadget that does not compromise quality and functionality. 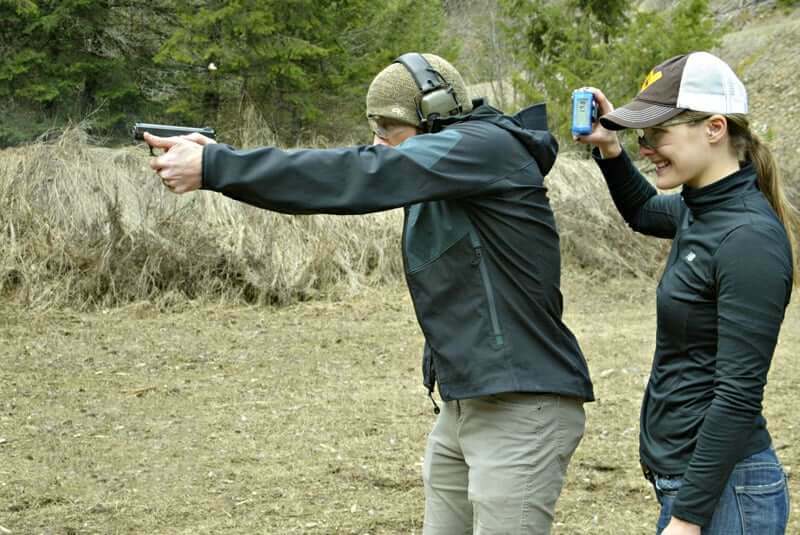 If you keep in mind these five factors and consider them before making your choice, you will have higher chances of holding the best shot timer that can help improve your skills in shooting.